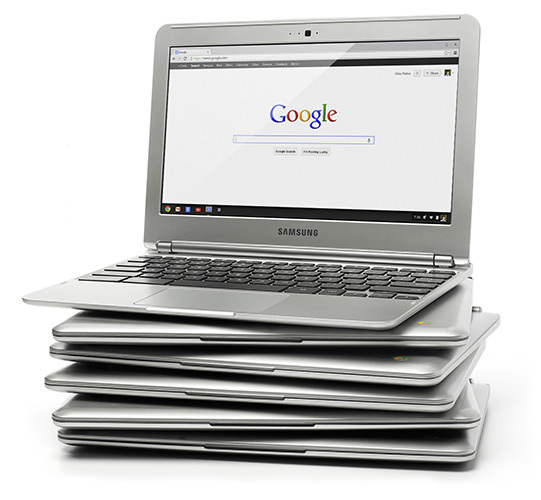 Just received my Samsung Chromebook today… So far so great and I think it will be perfect for your mom. Real clean and simple… Different from a traditional laptop (not sure you can have desktop icons… all the “apps” are in the task bar on the bottom) but boots up fast as advertised, great keyboard, web cam sufficient, google hangouts are fun, and the ability to log onto one of my other computers from the chromebook is a great feature (and it actually looks workable). Even the sound comes through when remote logging into my desktop (which somewhere I read it didn’t)… I was able to play songs from my itunes. Anyway, back to your mom… I would go for it… It’s as easy to set up as you guessed and seems like its a good 2nd computer or primary for her needs. Thanks for the feedback. I’m glad it sounds as simple as I’m expecting it should. Will be ordering it as soon as it becomes available again. Everywhere I’ve looked it seems to be out of stock. I’d really like to know how many units actually sold.